Private property, two in one villa, beautiful detached house for sale by owner in the "Murcia" region, south of Spain, Costa Calida, in Camposol-Mazarron, near mountains and Mediterranean sea, just near the border with Andalucia and Costa del Sol. You are looking for a beautiful property in Spain with peace of mind? 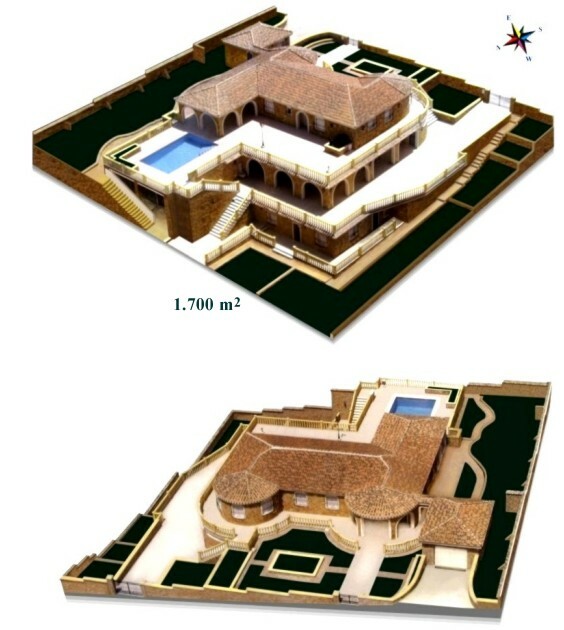 This is your prestigious house, your luxury spanish golf property, your dream villa, your prestige property, your magnificent villa, a spot of sunny paradise with a great view of the mountains, a young and dynamic urbanization in an area in full expansion and near the Mediterranean sea (10 minutes). This beautiful villa with 31 Rooms is a luxury house in excellent condition (end of construction in may 2007). Spanish property direct, mortgage free, furnished home, free for immediate occupancy (after formalities and payment). Two residences, two family homes separated in a large villa with swimming pool and gardens, ... Ideal great double house for 1 or 2 families, two in one villa, guest house or house staff (concierge, housekeeper, gardener, domestic staff, cook, ...), liberal profession or for rent. Location : Calle Ciudades Españolas, 13 - 30875 Camposol A - Mazarron. 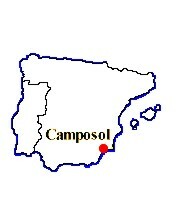 A place in the sun, southern border of the urbanization Camposol (sector A - Los Palacios) in coastal zone and mountains of Mazarron. Orientation : South, quiet site (at the edge of countryside). Views on golf (18 holes) and parks. Magnificent panoramic views terraces of the villa towards the surroundings of Mazarron and the mountains : Sierra Espuña (1585 m), Sierra Algarrobo (713 m) and Sierra Almenara (881 m). > 30 minutes of Murcia. > 30 minutes of Cartagena. > 60 minutes of the airport of Alicante ( El Altet ). > 60 minutes of the airport of San Javier. > 30 minutes of Andalusia and Costa del Sol..